When you take all that this work van has to offer and mix it with the best deals in the BostonMA and a friendly sales staff, you can't go wrong with a new Ram ProMaster City from Quirk Chrysler Dodge Jeep Ram. The Reliable and Efficient New Ram ProMaster City is Available at Quirk Chrysler Dodge Jeep Ram in Boston MA! Quirk Chrysler Dodge Jeep Ram is excited to offer you the best deal in the South Shore on the new Ram ProMaster City. The new Ram ProMaster City has the Best-in-Class cargo capacity with 131 cubic ft. on Tradesman® models. 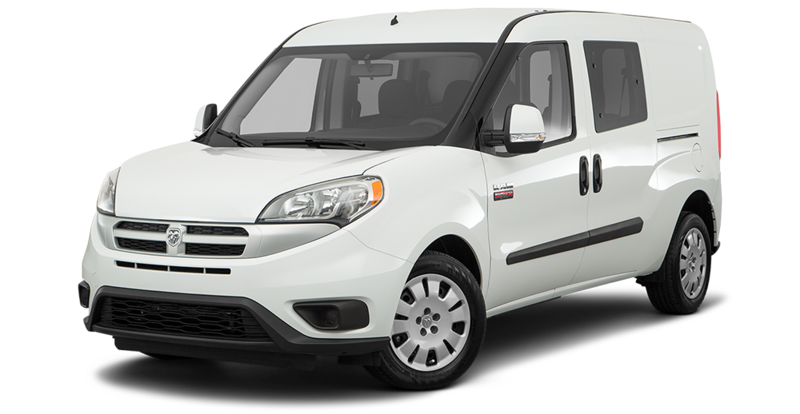 If that cargo space wasn’t impressive enough the new Ram ProMaster City also has Best-in-Class wheel-to-wheel cargo width of 48.4 inches which means it’s wide enough to put a whole pallet in the back. Apart from the cargo space the new Ram ProMaster City has Best-in-Class highway driving range, horsepower, and torque with the standard 2.4L Tigershark® Multiair® 2 engine which is also the largest and most powerful four cylinder engine in the Ram vehicle family.